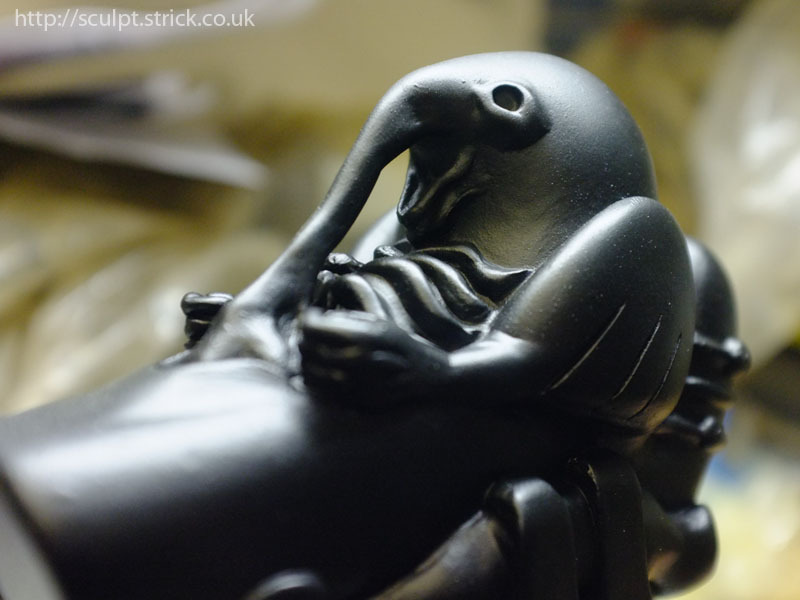 Artist and prop maker Kerry Dyer invited me to take part in a custom show based around her Mole XL resin figure. The Mole is a simple elegant form that lends itself well to customisation. Kerry was also kind enough to provide me with some mini moles. 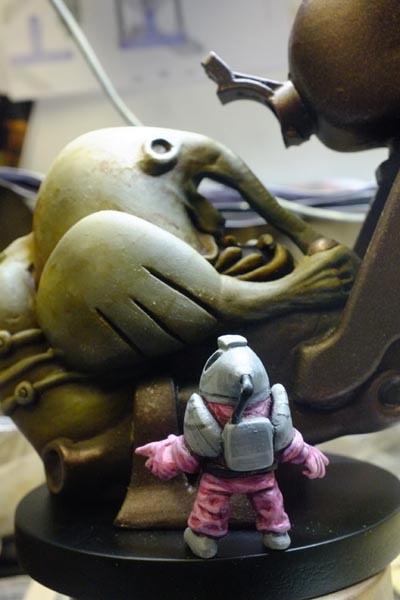 Something about the figure made me think of the Space Jockey from Alien. The iconic Space Jockey was a huge fossilised alien pilot fused into its seat and controls. 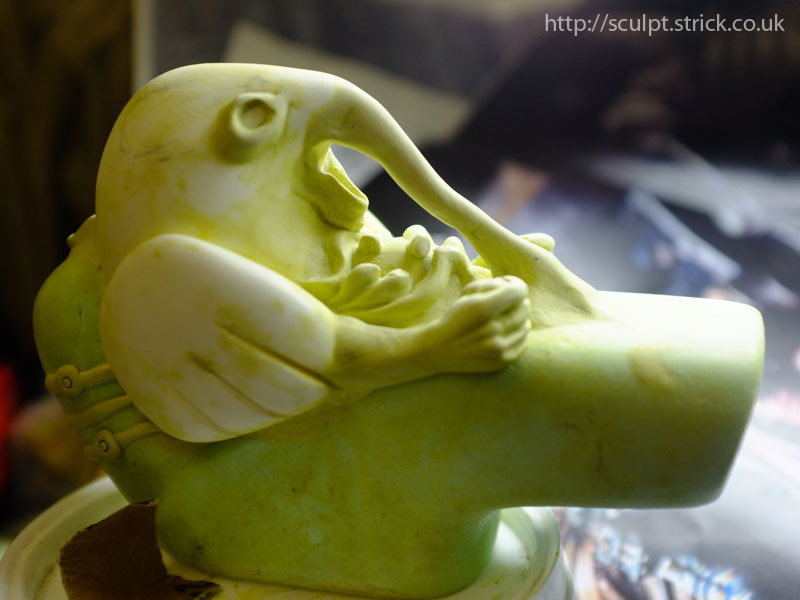 It was designed and sculpted by the late HR Giger. Since I realised it was only a passing resemblance, I did a quick sketch before looking up reference material so that I could keep hold of that initial mental image. On looking at movie stills, it quickly became clear that my sketch underestimated the scale of the pilot seat and 'telescope' but I felt that it had enough of the essence of the form that it would be recognisable. I reworked the design slightly, incorporating a few prominent features of the actual sculpture. Unless I built a very strong support structure, the 'telescope' needed to be kept lightweight so I chose to make it from dense styrofoam. 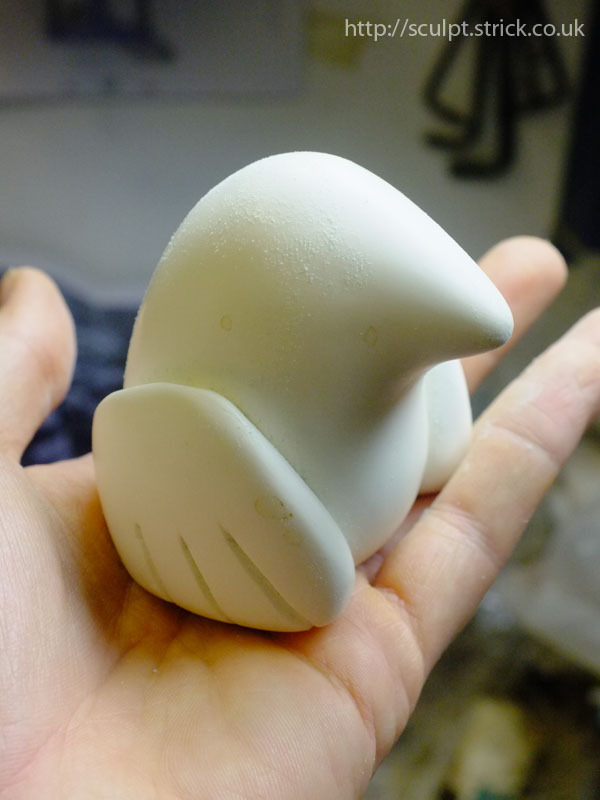 To suggest bulk, I kept detailing to a minimum and gave it a course, roughhewn look. 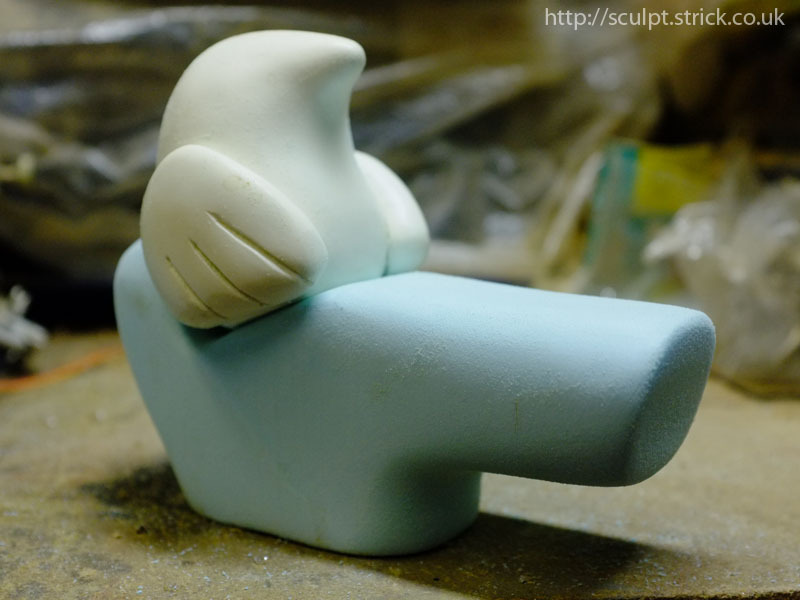 I made the pilot seat in the same way and added some simplified structures inspired by the forms in Giger's design. The mole was detailed with Milliput. 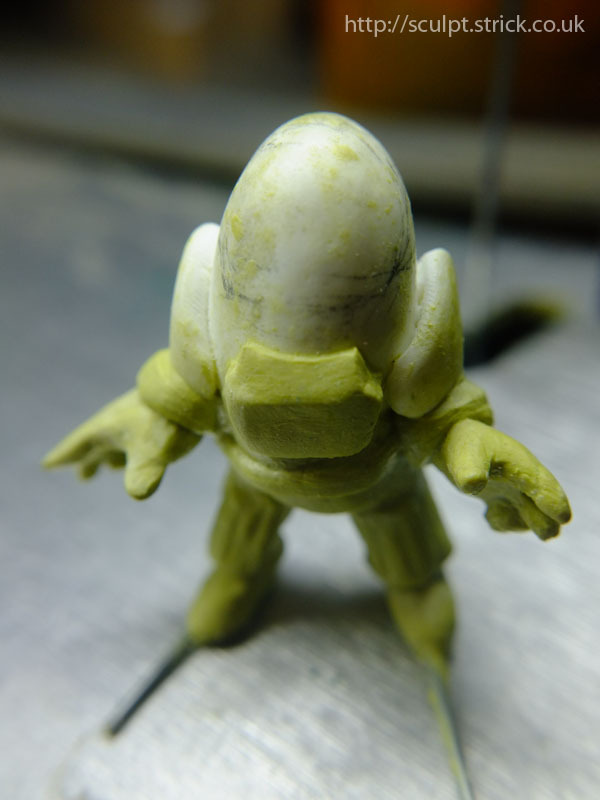 I tried to preserve as much as possible of the resin toy's shape. I continued the style into the pilot seat, using simple loose shapes. 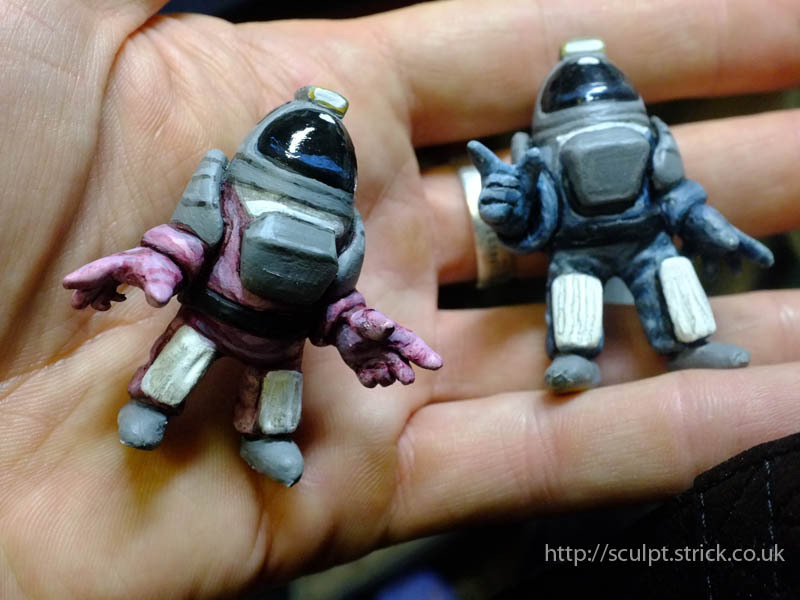 Meanwhile, I began converting the mini moles into astronauts. I had originally planned to have three crew members as per the movie but I realised that it would get too crowded and distract from the Jockey itself. 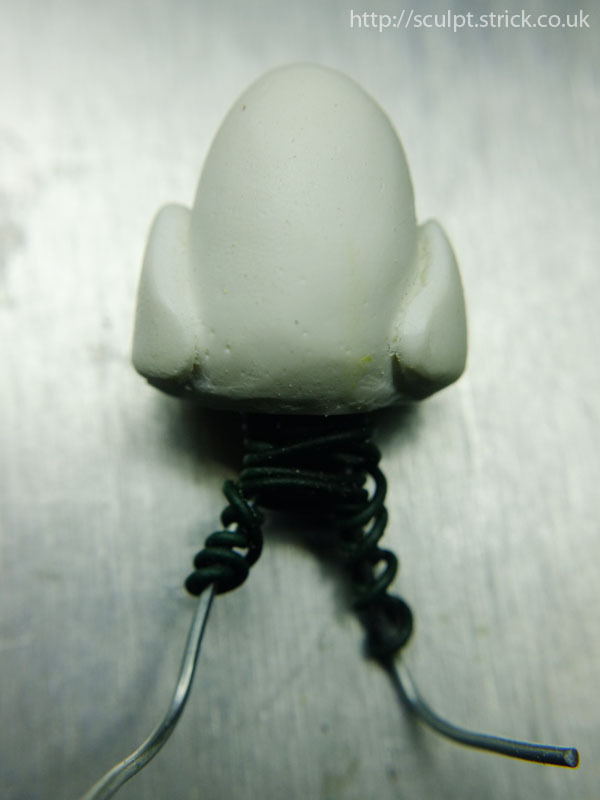 I drilled holes in the resin to accomodate some heavy wire to make simple armatures for the legs. As with the main figure, I wanted to leave the actual mini mole figures as unchanged as possible. About the only change to their outline is the light on top of the helmet and the air hose, although they are less recognisable as they are facing backwards with the nose forming the back of the helmet. I chose the two astronaut suit colours which would stand out most clearly from the browns of the main figure - the pink and the blue (perhaps Kane in his yellow suit is already discovering the egg chamber). I resisted the temptation of weathering them but kept to a loose impressionistic style to fit with the feel of the main piece while still allowing them to stand out. The whole piece was thoroughly sealed and primed. It is important to protect styrofoam as many paints can react with and dissolve it. It's not clear what material the 'telescope' and pilot seat are meant to be made from but I chose give them a heavy-looking bronze finish using a combination of stippling, airbrushing, washes and fine brush work. I gave the mole pilot a slightly textured organic look using various shades of acrylic. Finally, the astronauts were fixed in place ready for a final detailing layer. Pictures of the completed custom are here.